Kusuo Saiki making an astute observation about himself. Comics, shows, and films about people blessed with incredible gifts almost invariably end up telling stories about how understanding the balance between power and responsibility is what keeps them human despite the overly-dramatic lives they lead. Shūichi Asō’s The Disastrous Life of Saiki K dabbles in that space some, but also knows how played out that narrative is. Lead character Kusuo Saiki has a bevy of psionic abilities that would put Jean Grey and Franklin Richards to shame, not just because of their sheer magnitude, but also because of his (mostly) fine-tuned control over them. After Saiki begins manifesting his powers as a baby, his regular human parents settle into a lifetime of raising a child who regularly reads their minds, teleports at will, and bends reality with the slightest of his thoughts. For all his power, though, Saiki’s a generally level-headed person who longs only to be left in peace so that he can enjoy the coffee-flavored jelly desserts he loves so much. 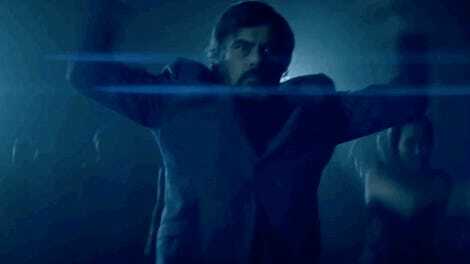 Because he’s seemingly the only psychic in the entire world, he makes a point of hiding his abilities from most everyone outside his immediate family, but the harder he tries to keep his distance from others, the more entangled he becomes in their lives, and the closer people come to discovering his secret. Despite the fact that its titular character is more or less a god, The Disastrous Life of Saiki’s stakes always remain relatively grounded because, powers or not, Saiki’s a fundamentally good person who doesn’t have much interest in ruling the universe. When presented with the opportunity to use his abilities to, say, prevent a car accident or restore a kid’s faith in Santa Claus, he’s always down to do what he can to help. And even though he insists on keeping his friends at a distance, on some level, he knows he’s better off for having them in his life. Over the course of the anime (and the manga it’s based on), Saiki crosses paths with a number of his classmates who gradually become friends with him after—unbeknownst to them—he somehow uses his powers to either help them out or attempt to avoid them entirely. As Saiki’s relationships with others develop, The Disastrous Life of Saiki K begins to dig into the idea that the greatest disaster that Saiki’s really dealing with is having a keen understanding of what makes people tick and being deeply bored by it. Because Saiki’s always privy to everyone’s innermost thoughts, there’s never really a moment for him to have interactions with people that feel meaningful, because people generally don’t say what’s on their minds. Kokomi Teruhashi, the most popular girl in Saiki’s school, presents herself as a caring, empathetic person, but in reality, she’s rather self-centered and egotistical. Shun Kaido, a loner with an overactive imagination, spends more time getting lost in his wild conspiracy theories and delusions that he has superpowers than trying to engage with reality. Everyone around Saiki is going through life navigating psychological labyrinths of their own making and, and that’s perfectly cool—Saiki just doesn’t want to get lost in them. And yet...over, and over again, he does. 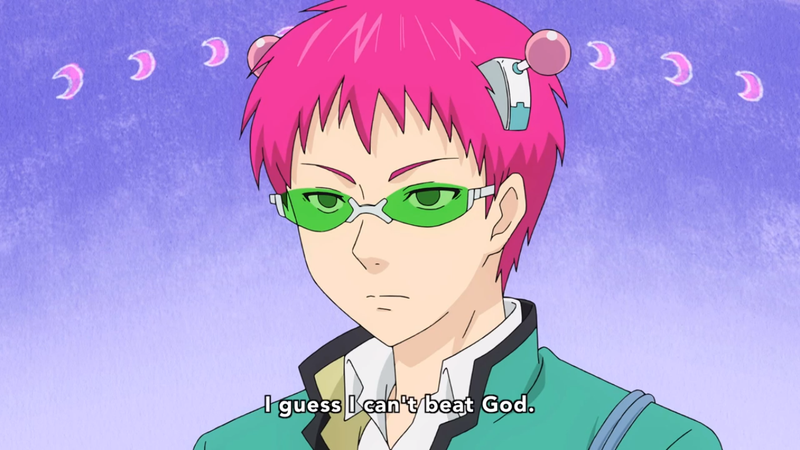 Saiki realizing that he’s accidentally become very popular for being too good at dodgeball. Because Saiki constantly breaks the fourth wall and narrates the details of his life to the audience, there’s a way in which you can never really identify with him, because you’re not meant to. Saiki acts as an all-knowing guide to the world that he’s subtly manipulated in order to make it objectively better for everyone, and you’re meant to be a casual observer. In those moments when Saiki’s getting someone out of a convoluted situation, you can always feel his exasperation and how he’d much rather be watching it from afar—the way you are—or better yet, not be involved at all. What really sets The Disastrous Life of Saiki K apart from other stories about supernaturally-gifted wunderkind is that, ultimately, its hero is the embodiment of what it means to be an introvert. It’s not that he’s not interested in the outside world or can’t appreciate it for the wonderful things that exist. He’d just much rather experience it all on his own terms which, ironically, is what makes him so similar to everyone else. Two seasons of The Disastrous Life of Saiki K are now streaming on Crunchyroll.